Tarrus Riley born Omar Riley in Bronx, New York, is a promising reggae singer and songwriter. His early years were spent in music studios and traveling the world with his dad. He picked up something special along the way. He is a songwriter of uncommon intelligence, breadth with a deft touch. His emotional and spiritual IQ matches his heartfelt sincerity. As a singer, his vocal style is reassuring. It conveys his every mood, concern and context eloquently. His songwriting is bold, yet definitive, passionate and authentic, without being strident or overly militant. Except for the same surname, Tarrus, while clearly not possessing his famous father's voice with its sharp edge, is content musically to create his own legacy. Riley is the son of veteran singer Jimmy Riley and nurse Lavern Tatham-Riley. He was born in the Bronx and grew up in South Florida. He began his musical career as a deejay working with Busta Rhymes, taking his birth sign as his stage name at his mother's suggestion (the spelling later changed from Taurus to Tarrus), and recorded his first singles for his father's Love & Promotion label. He was guided in his early career by Dean Fraser, who also performs in his band and produces much of Riley's work. Riley has released three albums, Challenges (2004), Parables (2006), and Contagious (2009). Contagious features guest appearances from Damian Marley, Vybz Kartel, Etana, Konshens, Demarco and Duane Stephenson. His commercial breakthrough came in 2006 with the Parables album and the Jamaican number one single "She's Royal". Riley was awarded the Reggae Runnins Caribbean Heritage Award at the 2009 HOT 105 FM Caribbean-American Heritage Awards. 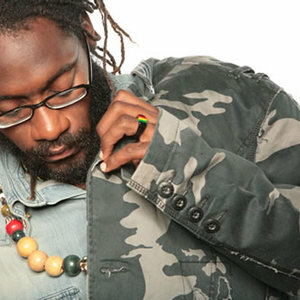 He was nominated in the Best Reggae category of the 2009 MOBO Awards.